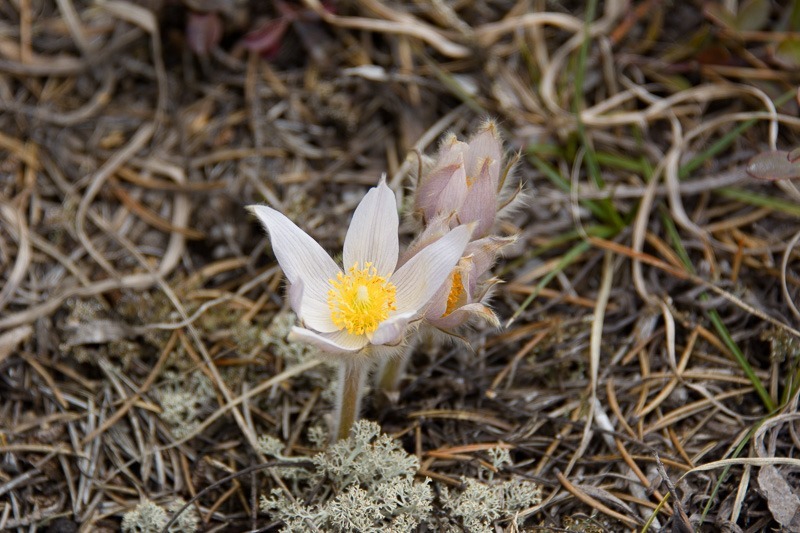 Of course that’s the Prairie Crocus. Manitoba’s Provincial Flower and harbinger of spring. So before you all start thinking that I am some kind of a biology wizard, I have enlisted the help of the Internet for this post to make sure I am not blabbering about things I know nothing about. There is already enough of that around. 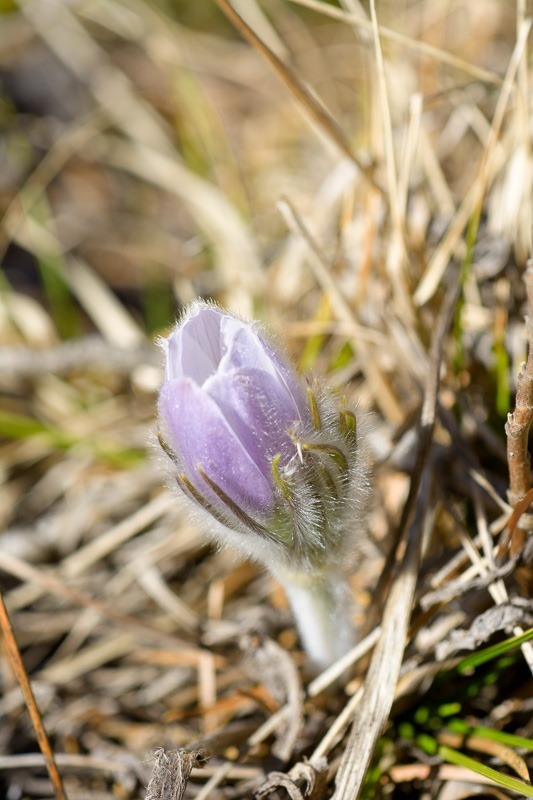 Prairie Crocus, that already starts bad. Nice and fluffy; fluffy, ok, nice… I’m not so sure. 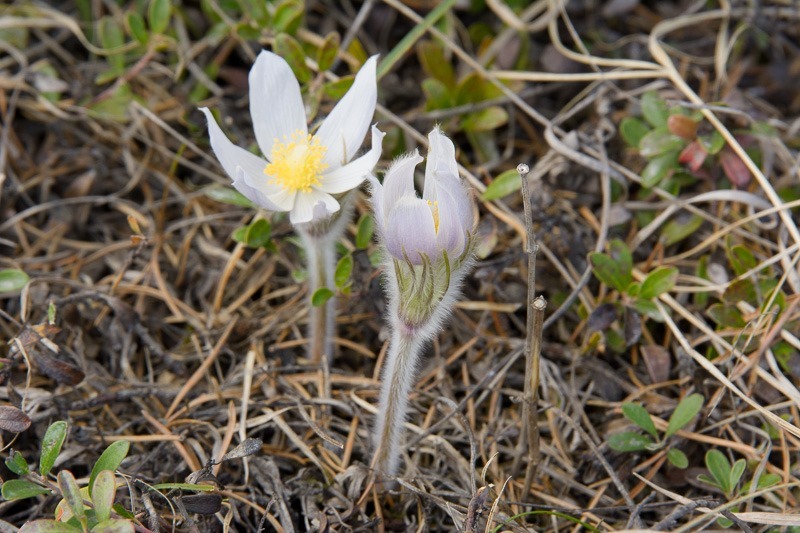 From this, the flower is often called Anemone Patens or Pulsatilla Patens. Both names refer to the same flower or plant. Its flowers are ranging from a light purple to white. White-ish is what I found this year, while other years had more purple. The “why” for that remains a mystery to me. As I have stated, I am in no way a biologist, I was horrible in biology in school. And even if I had been good or excellent, school is now at least 150 years ago it seems. Time enough to forget everything. 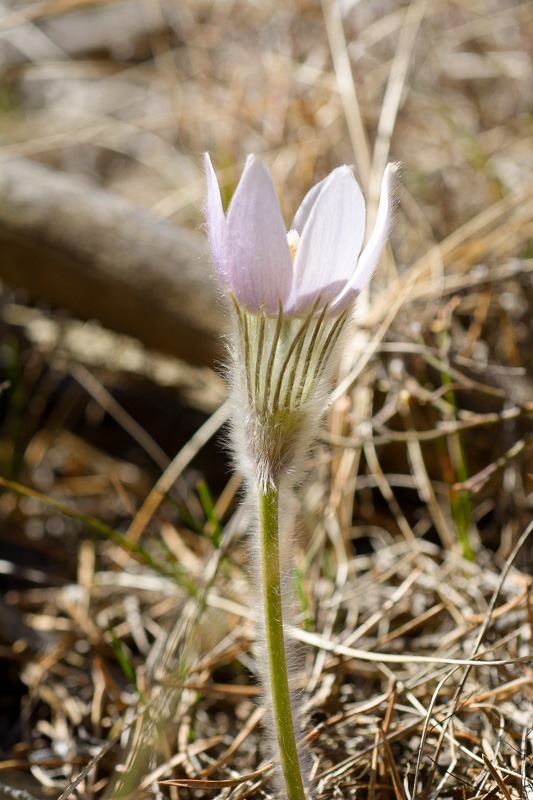 The term "Crocus" is a misnomer applied by European immigrants to a plant that reminded them of the European crocuses (Crocus spp. ), which belong to the Iridaceae (iris family). 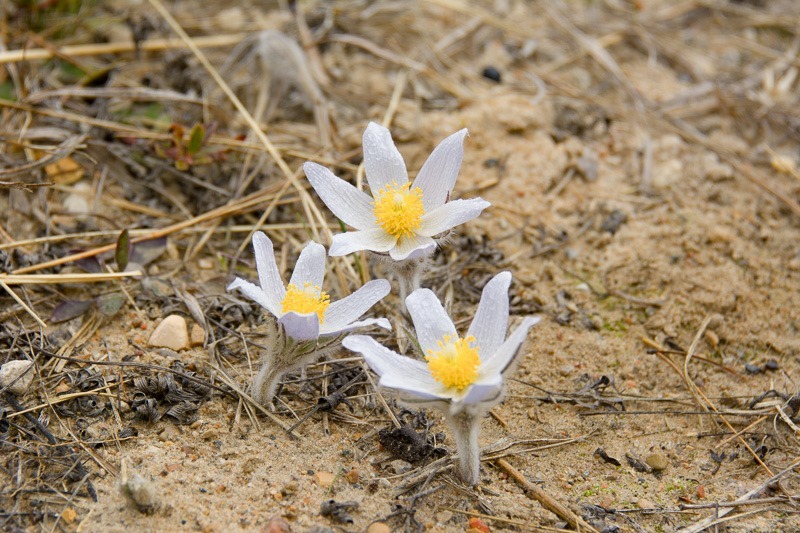 That flower uses bulbs to grow, while the Prairie Crocus has self-seeding seeds to multiply. 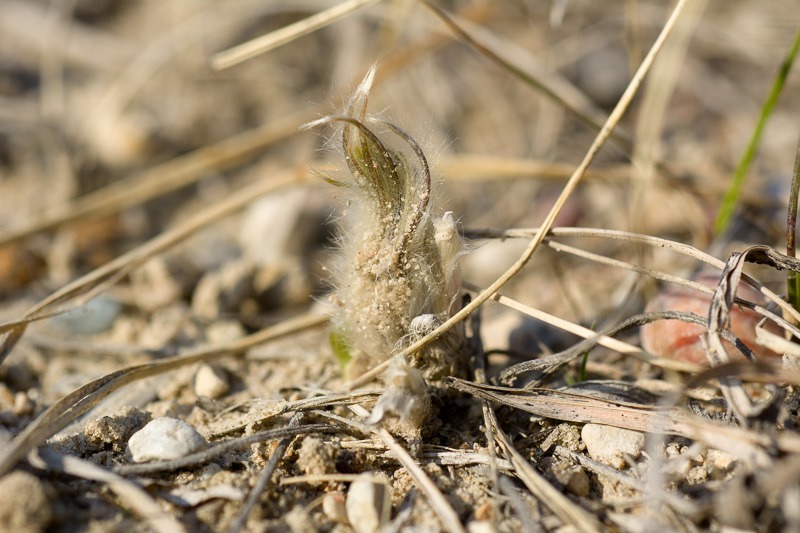 Pulsatilla is highly toxic, and produces cardiogenic toxins and oxytoxins which slow the heart in humans. Excess use can lead to diarrhea, vomiting and convulsions, hypotension (LOW blood pressure) and coma. It has been used as a medicine by Native Americans for centuries. Blackfoot Indians used it to induce abortions and childbirth. 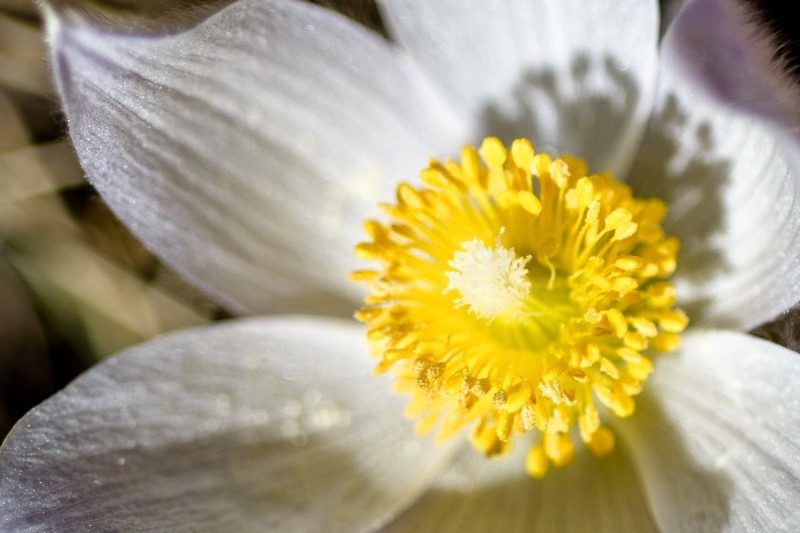 Pulsatilla should not be taken during pregnancy nor during lactation. It seems to me that this is not a flower to play with. So now we have a fairly toxic flower used as the Provincial Emblem of Manitoba. It grows for a few weeks every spring and is usually the first flower to bloom. This year, we found many of them crushed by quads, their drivers visibly didn’t even see them. They grow on poor soils, sandy ground and bone dry if possible. However, a few rain showers make them appear very quickly. When they start out, they are hardly recognisable or even visible. The above shoot was not even 10mm high (3/8”) and already fluffy. I guess that keeps the hungry insects and parasites away… It doesn’t keep me away and I must have earned the label of “Bigfoot” at some point. In a field where there are lots of them, it’s better not to walk there at all or accept that you may shorten the life of some of them. Those who will try and make them survive are the early insects. The first flowers to present something edible in this cruel world that was winter. Winter Wonderland is not something they would advise to anyone. 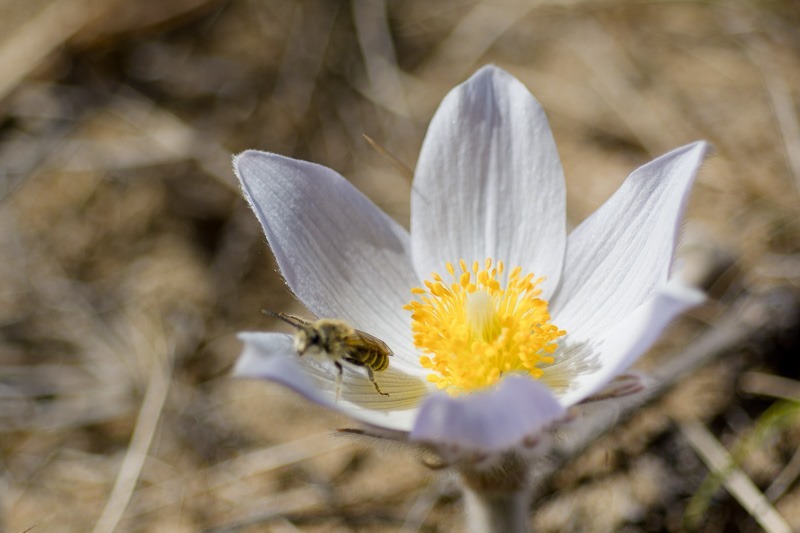 The early flowers present the way to survival of their species. They are not bothered by the seemingly dangerous properties of the plant. Perhaps they also do not live long enough to find out about the consequences. I have no idea of the preparation of the plant for abortion and in what concentration this is required. All I know is that if a plant will lower blood pressure in a significant way, then it should be used for medicinal purposes under strict medical control. Otherwise I wouldn’t touch it. I guess I’m not the adventurous type. In the mean time I enjoy the view of these beautiful flowers for as long as they are here. In a few short days they will be gone for the rest of the year. Some text of this post was a copy of text from the internet.